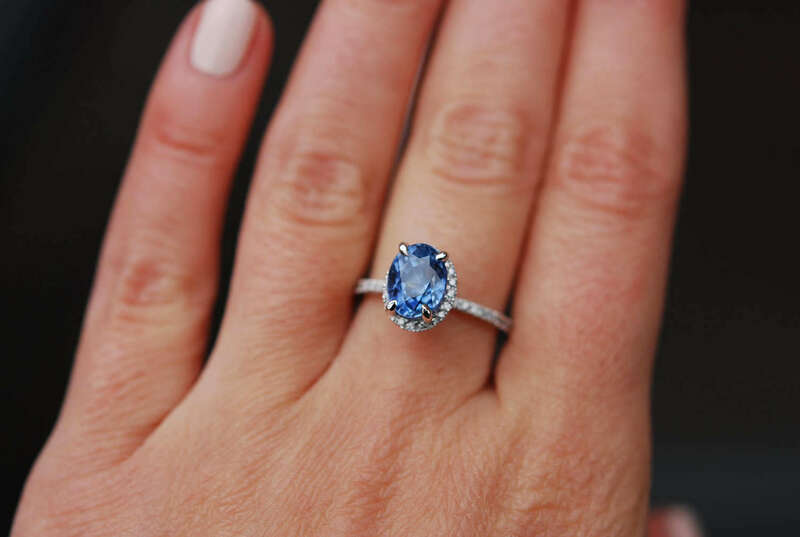 Oval Blue Sapphire Engagement Ring. 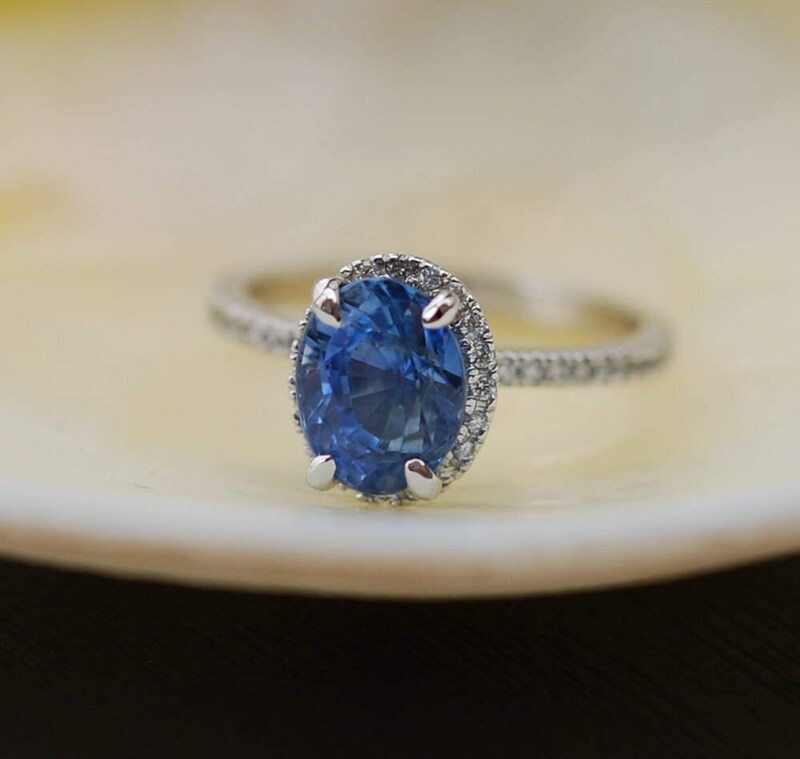 White Gold Engagement Ring 2.47ct oval blue sapphire ring. White gold ring. 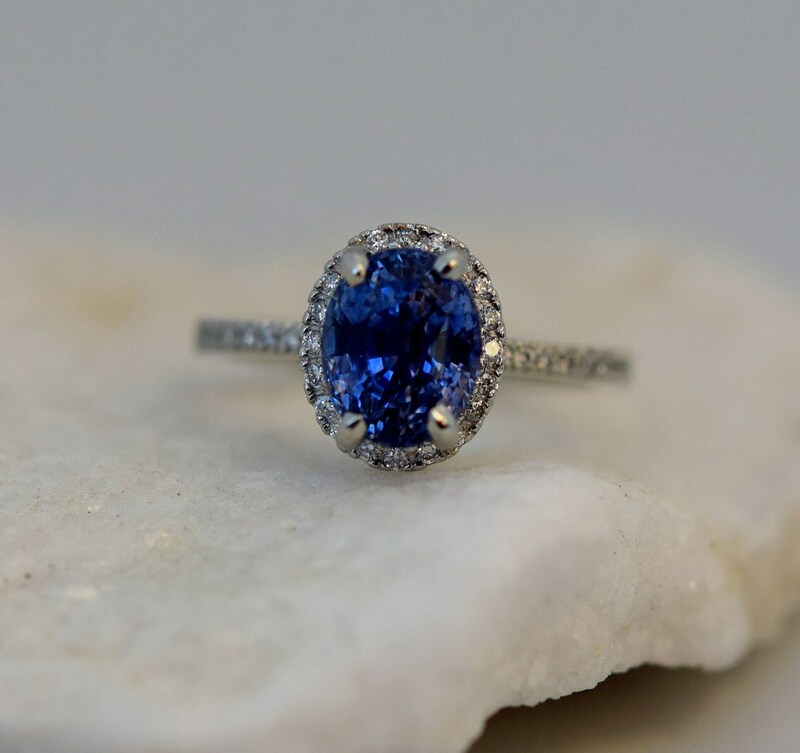 Oval Blue Sapphire Engagement Ring.Engagement ring by Eidelprecious. 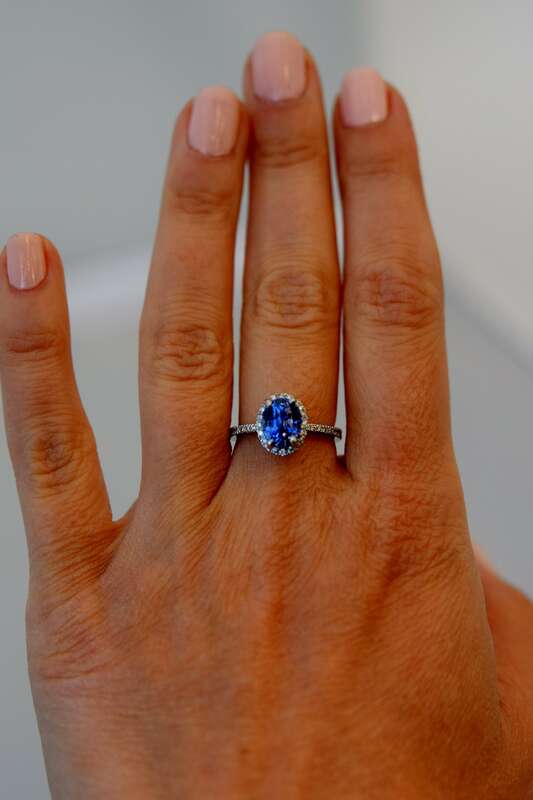 The ring features a 2.47ct oval blue sapphire, eye clean. 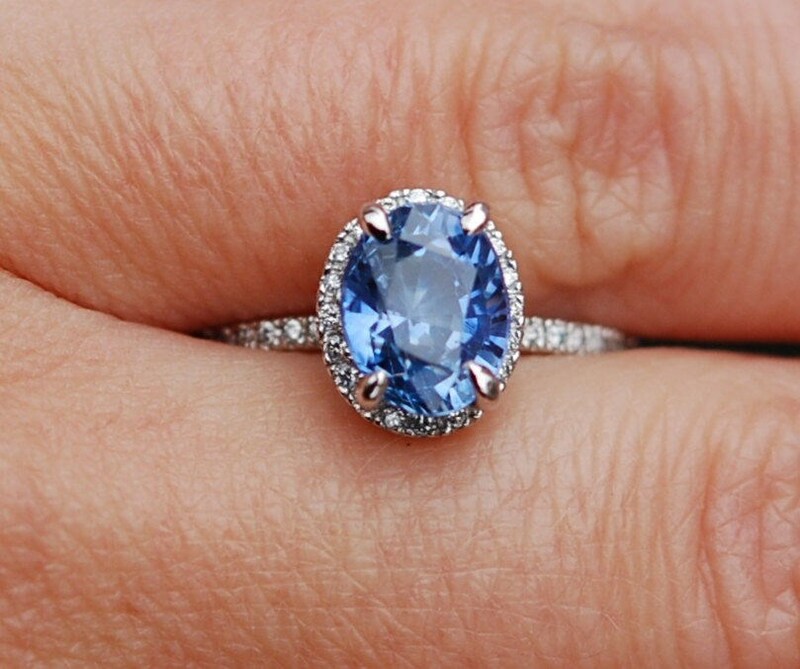 The color is cornflower blue, really sparkling! The sapphire displays some color change under certain lightening - very intriguing and unique. 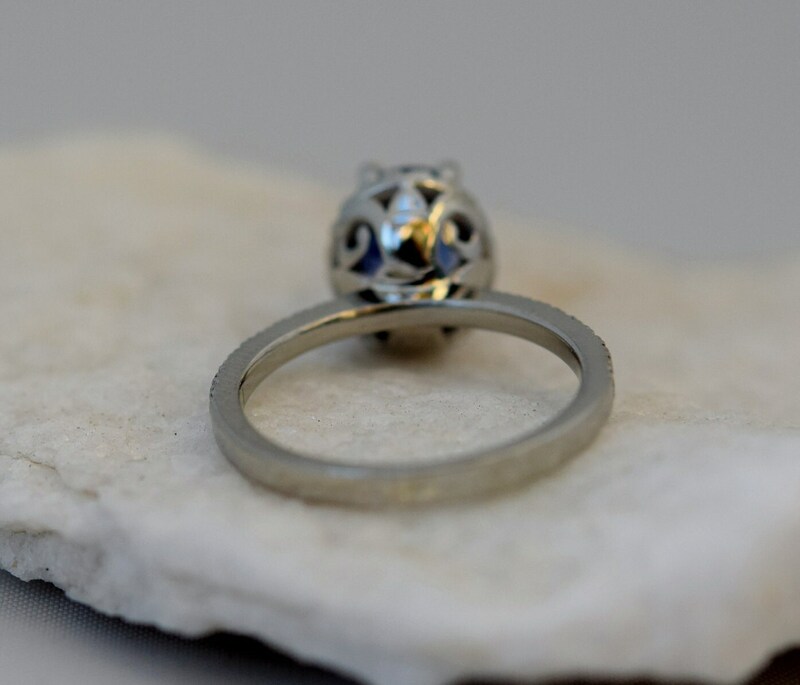 The setting is upgraded 14k white gold, VS/F diamonds, TDW 0.2ct. I love my ring! 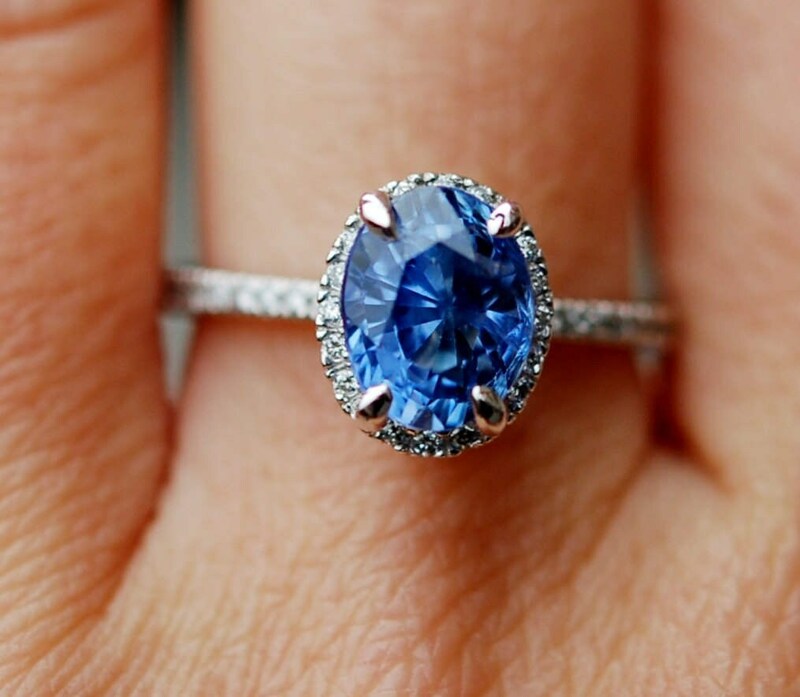 I've been looking at sapphire rings for several years. When I found Eidel, I fell in love with her work. There's nothing else that compares. Eidel made the process so easy and was very attentive to all my questions. Thank you Eidel for making my 16 year anniversary even more special!